Thank you for everyone's comments on my last post! I appreciate every single one!!! Saw this posted over at The Boston Marathon's Facebook page. It is very cool. 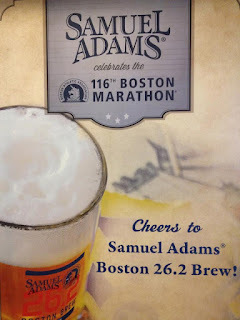 Sam Adams Brewery (thanks to Detriot Runner for this link) brewed a special beer to celebrate one of Boston's traditions. This is will only available on tap at local bars and restaurants along the marathon route. I will be on the look out for it. I hope to score myself one of those commemorative beer mugs as well. I got 17miles in this week during lunch at work. We've had 4 days straight of 80 degree weather. Can't complain at all!! My shirt usually last about a mile before I throw it on the side of the road. I usually, if I dont forget, pick it up on the way back. Day off from running tomorrow, but I'm thinking of strapping my bike to my car and going for a nice long ride during lunch. The weather will be back down to the 60's (boo), but perfect for biking. I mapped out a nice route for Saturday's 15 miler. It's looks like such a long of a run, when mapped out. Gotta get that out of my mind though!! 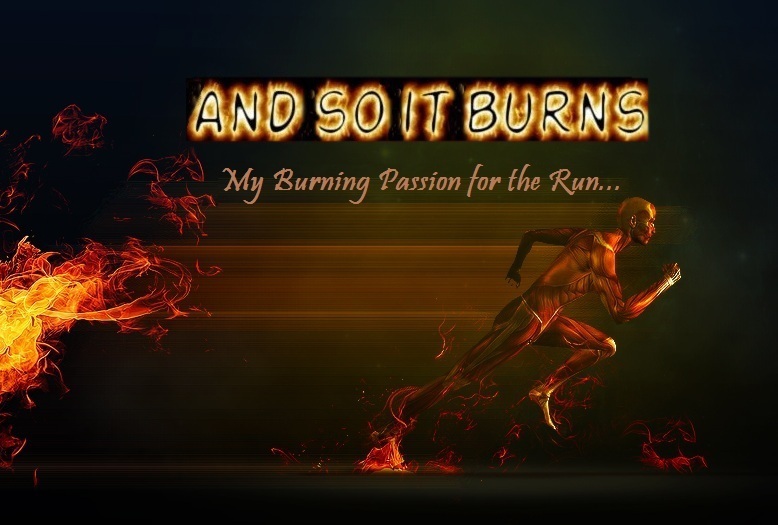 I just gotta do it! Happy runnings...Have a great weekend! 15 miles! Wahoo! It's just 3 5-milers, right ;) You will rock it, I'm sure. That sort of weather is vile to run in. At least you can take off your shirt - it's frowned on for us XXers to do that. I've got to say I love that glass as well. Really cool. 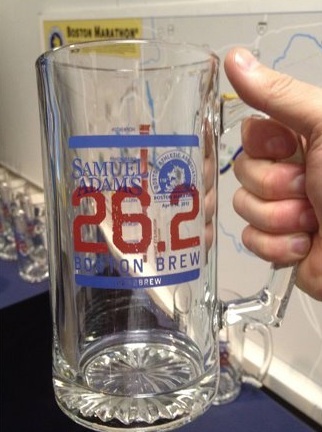 I bet they will have them at the Boston marathon expo. I'd buy one for sure!